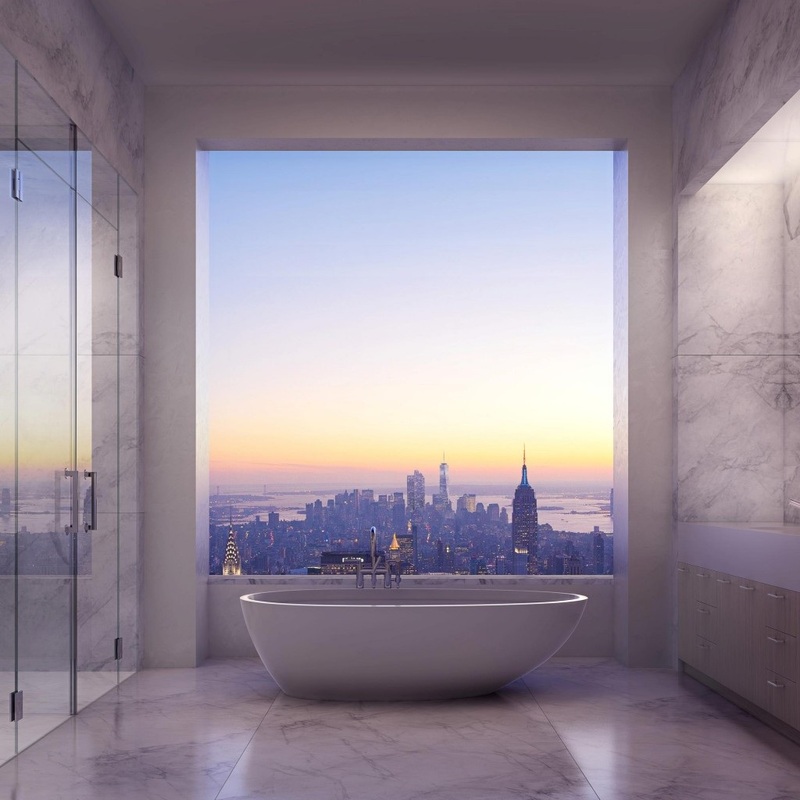 432 Park Avenue is the Stunning Luxury Condo Building in Manhattan's 57th Street Billionaires' Belt, located on Park Avenue between 56th and 57th Streets. 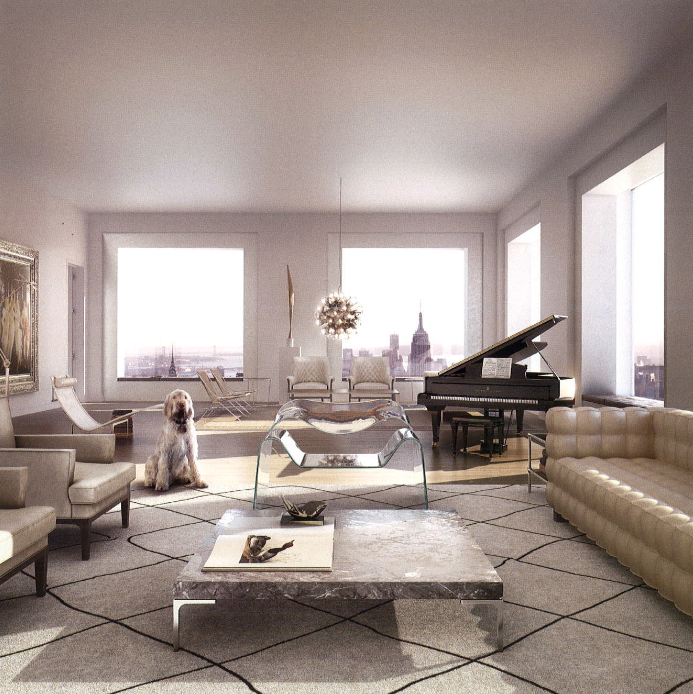 Developed by CIM Group and Macklowe Properties, this top luxury condo has 99 luxury residential units and 125 stories. 432 Park Avenue is an extraordinary 1,396-foot condo tower designed by Rafael Viñoly; Interiors:Deborah Berke Partners, Rafael Vinoly Architects, Bentel & Bentel, Lilla J. Smith, Harry Macklowe. Macklowe Properties project; Architect: Rafael Viñoly, 96 floors, 125 units; Doorman, Pool, Garden, Private Restaurant, Library, Lounge & more. 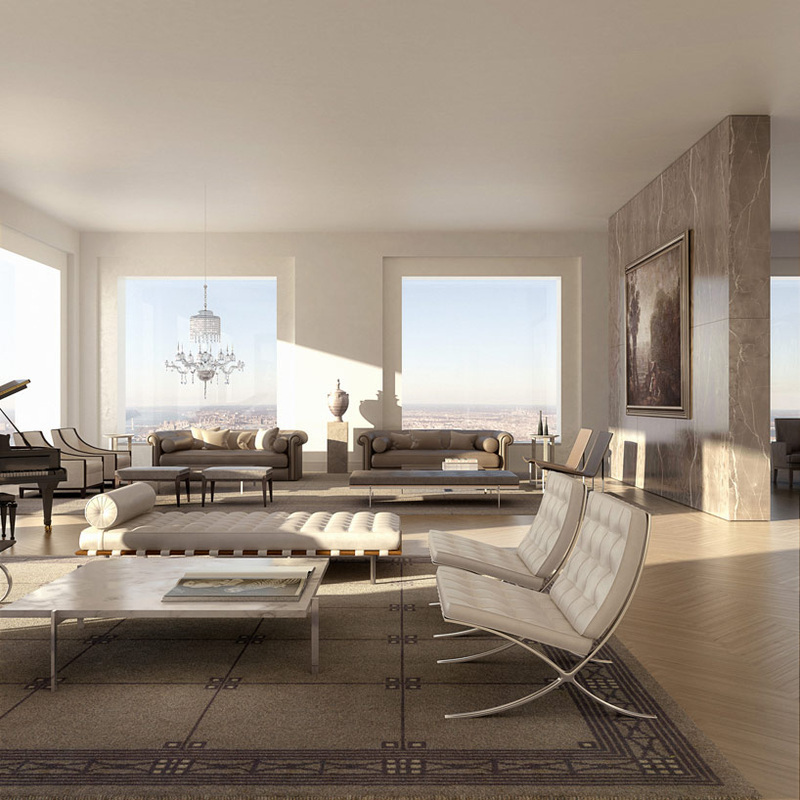 ​Located on Park Avenue between 56th and 57th Street, 432 Park Avenue is in a great Manhattan location, surrounded by world class shopping, art and design and very close to Central Park. 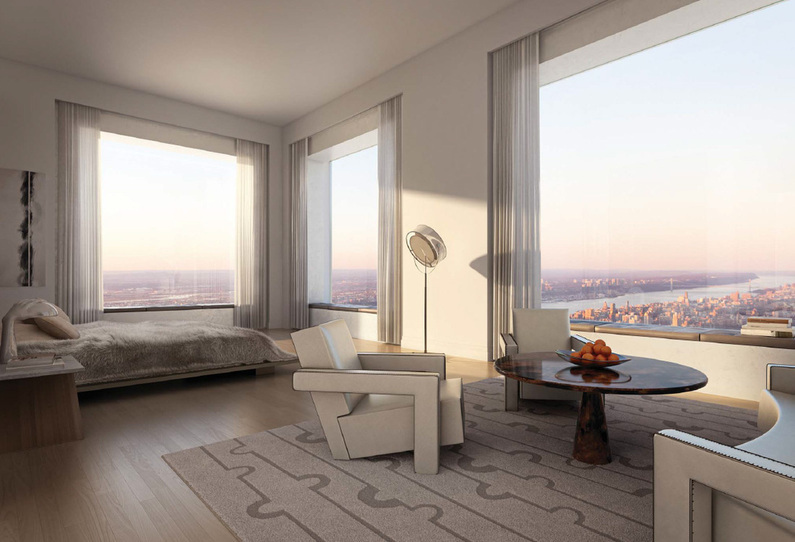 This slim and elegant square condominium tower is 96 stories high. 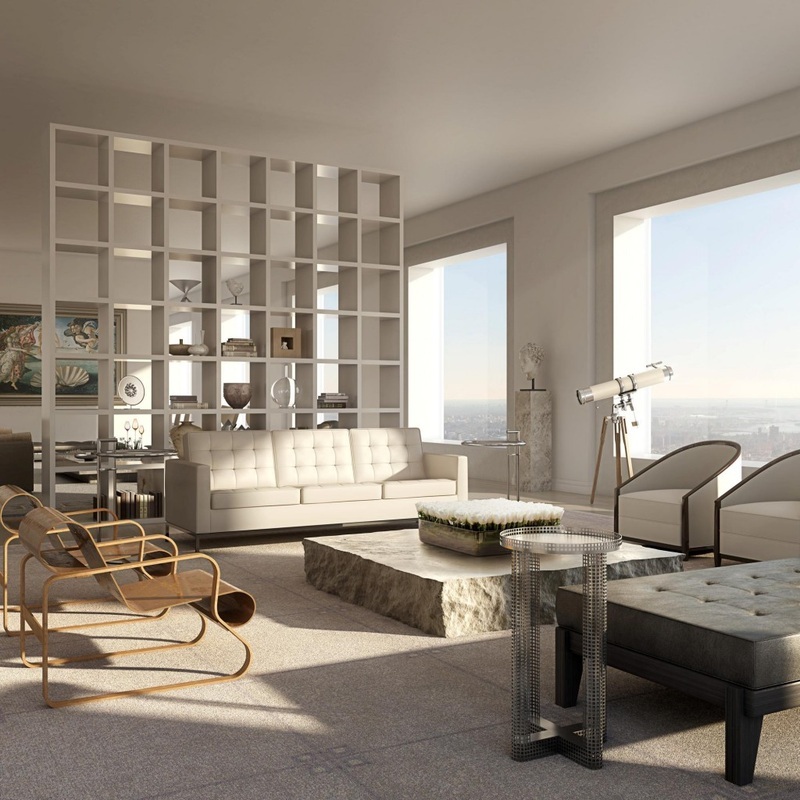 All windows measure an expansive 10 feet by 10 feet, flooding residences with abundant natural light and providing spectacular views of Central Park, the Hudson and East Rivers, Atlantic Ocean, and many iconic Man­­hattan buildings and avenues. In the tradition of New York City’s finest apartment houses and hotels, residents enjoy 30,000 square feet of amenities including a private restaurant, outdoor garden for dining and events, spa and fitness center with sauna, steam and massage rooms, 75-foot swimming pool, library, lounge, billiards room, screening room and performance venue, children’s playroom, and boardroom. 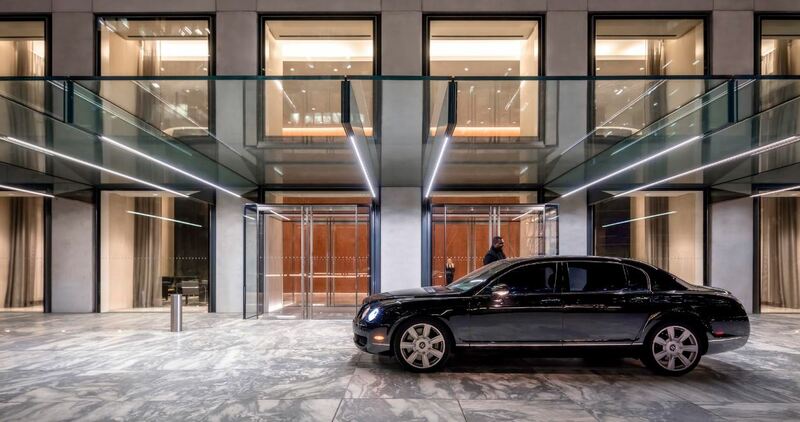 In-suite catering, concierge, 24-hour doorman, and valet parking services is provided by the building’s handpicked staff. Residences include private elevator landings, separate service entrances, eat-in kitchens, windowed his-and-her bathrooms and large master suites with adjoining dressing rooms. Interior finishes include 12.5-foot ceilings, solid oak flooring, custom hardware, and the highest quality natural materials. 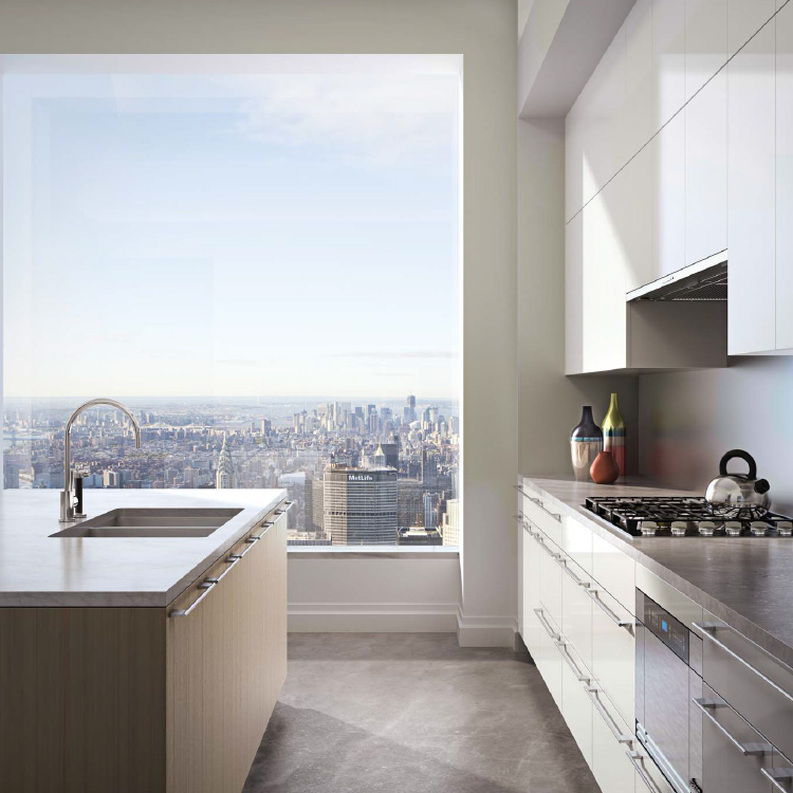 Kitchens feature custom cabinetry, Miele stainless steel appliances, Dornbracht fixtures, and marble counter-tops and flooring. Master bathrooms are fitted in book-matched slabs of Italian statuario marble and contain freestanding soaking tubs, custom vanity units and radiant-heated floors. Residents will also have the exclusive ability to purchase climate-controlled wine cellars, office suites, staff apartments, and storage facilities as a complement to their residence.